There are many ways you can help through donations or through volunteering. If you are interested in volunteering, please contact us by phone. 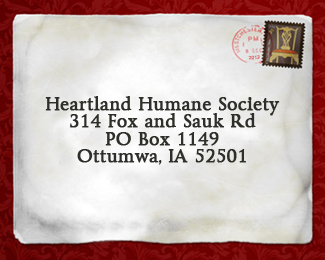 We would love to meet with you and talk about how you can become a Heartland Volunteer. Heartland has so many dedicated volunteers that work tremendously hard. However, we can always use a few more good volunteers. Please sign-up and volunteer. Remember the animals need and appreciate everyone! If you have questions about how your time and talents might best be used, please inquire at the shelter. Thank you. If you are interested in fostering animals in your home, please complete and submit a foster parent application.